Its difficult to say with certainty, as it seems to depend on the chipset the controller uses inside. and had it fitted in the arcade stick and I was away. No problems at all. on the assumption your arcade stick sends a right shift single on the button you want to use as the enable hotkey. Then pressing x on your arcade stick (The A button?) should save the game. 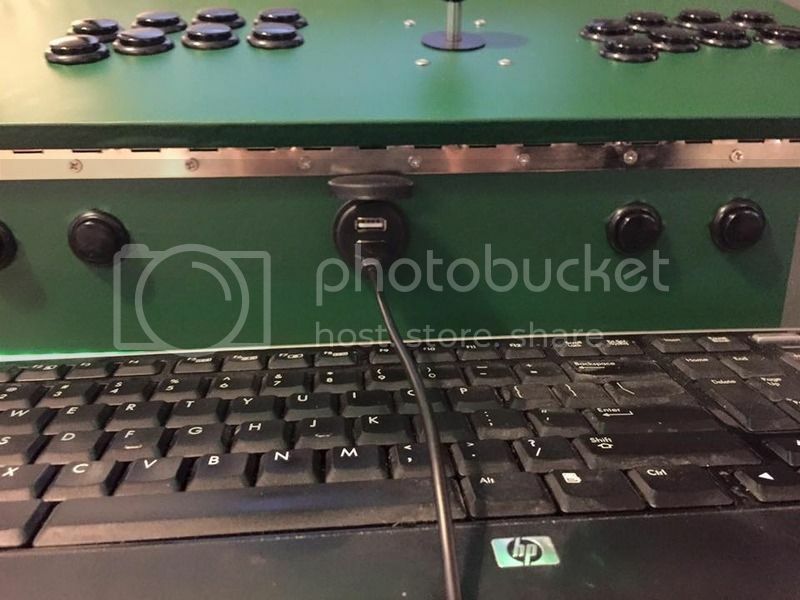 Finally it seems a budget fight/arcade stick is going to make its way to my new setup! But I was wondering if there would be any reason for this not to work with RetroPie? It seems it is a regular USB interface so I would not expect a problem but before I spend money on it I would like to make sure. Any help is greatly appreciated before I order 2 of these babies! I’ve done it once before but I forgot what other file to edit for advmame, can anyone help me out with this? Sorry if this has been asked before. I have searched and found nothing that can help. How to replicate the problem: try the set up? 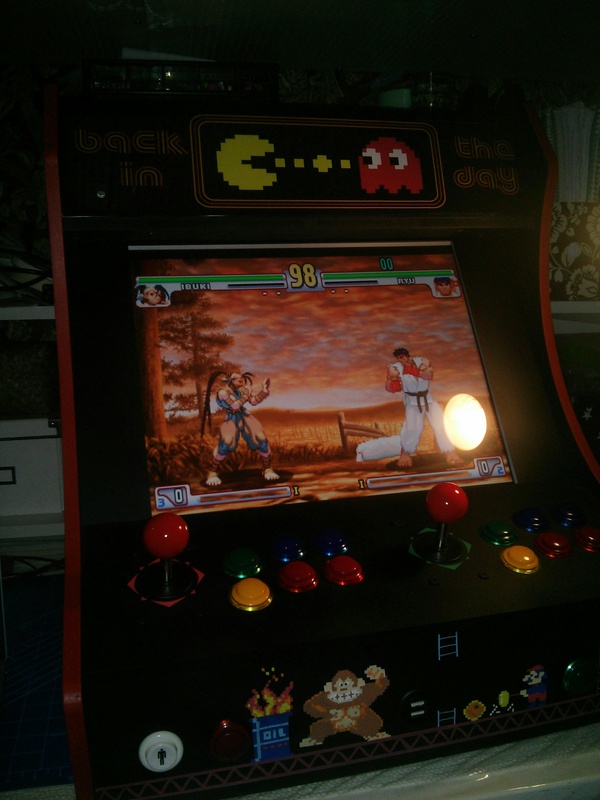 So I have crafted an arcade box to house my raspberry pi which is running 3.3. I have the two joystick/button set-ups directly plugged into the rpi. I have a wifi doggle plugged in as well(for easy ftp of new games). And finally, I have a hub plugged in. The hub is powered so my fan is not pulling power from the rpi and my ps3 controller isn’t pulling power. I noticed if I had too much stuff plugged in, I was getting the underpowered square in the corner. My hope was that when i wasn’t playing games using the joystick set ups I have, I could plug in a ps3 controller to that middle front port that has my usb extender cables in it. I can use the ps3 controller to navigate emulationstation, the main gui, but once I get into a game, it is just using the joysticks. I have gone into the /opt/retropie/configs/all/retroarch.cfg and change the index for “input_player1_joypad_index” to match my port. Herb made a video recently explaining which ports are tied to which players. So my usb hub is plugged into port 2. So I thought my usb extenders that are coming from the hub would be port 2/index 2. And like I said before, I can navigate the menus, but once I am in the games, nothing works on the ps3 controller. So then I went further and unplugged both joystick/button set-ups from the rpi and still plugged in my ps3 controller to the extenders. Same results and then I was left with not being able to get out of battle toads. haha. 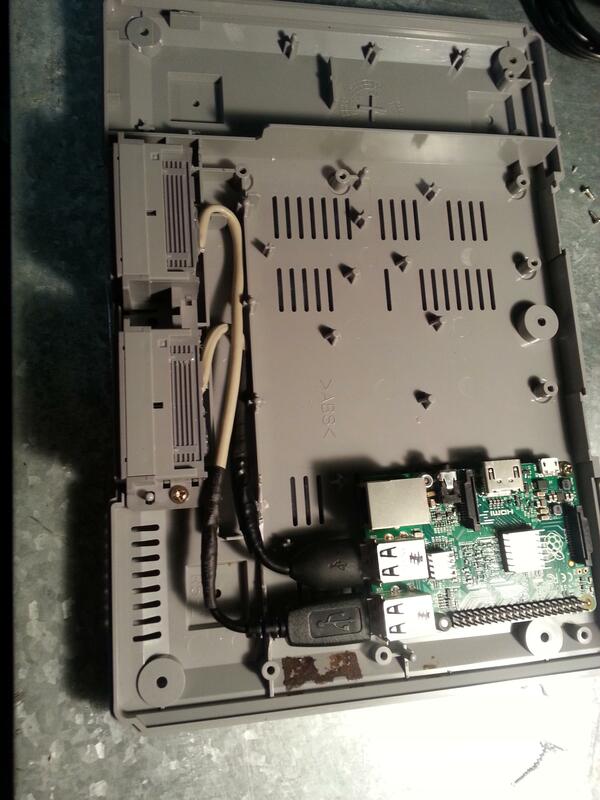 So then I went further and opened up the back of my arcade and directly plugged in my ps3 controller into port 0 of my rpi and for some reason, it didn’t work. I get the yellow text in the beginning of the game saying my ps3 controller wasn’t configured. I also tried to re-input my buttons through the RGUI of retropie. Same result. I know this is kind of an odd situation. It would be really cool if I could get it all working the way I want it to. Using a joystick is ok for certain games but others it just becomes clumsy, maybe it is just me. Here are the rest of the pictures if anyone cares. My marquee is still under construction. Waiting for the sticker to come in for my plexiglass. New technology doesn't solve all our issues, it changes the issues we have. It seems the majority of retropie user fall in 2 camps. Those that build arcades with game controller/Pads and those that build traditional joystick and Happ buttons. 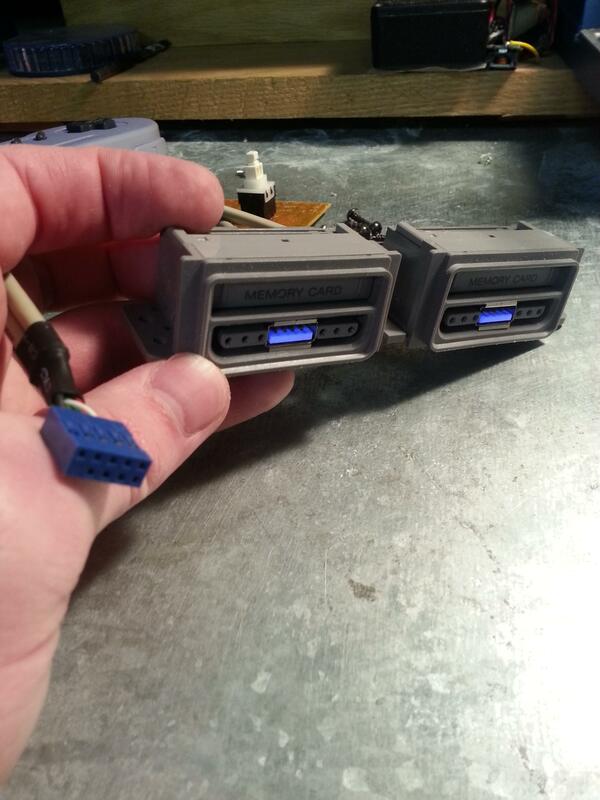 Would it be possible to have a SETUP Video (Floob) for IPAC2 as it only has 1 USB plug in and shows up as 1 controller when most of us have 2 Joysticks (Player2). There seems to be TONS of infor and Videos on Gamepads but none on IPAC2/4. This would greatly simplify 2 controller or joystick setup of IPAC for non program types. A Option in setup of Retro Pie in next version for IPAC would be great as well. I know I am not alone as I see questions on this subject continuously. So I’ve tried just about everything and nothing. Advmame says it can’t find the files for the games..
At first I thought it was my .106 romset so I re-downloaded it from a different source. Nothing. My setup loads roms from usb but I reinstalled 1.4 and installed roms to its default folder on my microsd.Nothing. Emulationstation sees the roms in the advmame menu so the rom location is correct. My .106 romset works in advmame 1.4 in windows. Loads games with no problems. Topic: Best way to access hidden folders via a computer? in forum New to RetroPie? Start Here! What’s the best way to access folders such as .emulationstation from a computer in order to transfer files back and forth? For instance, I want to change a couple of the images that were scraped with other ones I’ve downloaded. Currently I’m plugging a usb into the computer, copy files to usb, unmount usb, plug usb into pi, ssh into pi, copy files from usb to pi, unmount usb, plug back into computer, repeat. Is there any easier/more streamlined way to do this? With USBGamepad I can play Soul Calibur and Powerstone with those configs. I was surprised at beginning when I noticed it worked without any mappings. I also tried to add values around the ones displayed, obviously with no success. evdev_device_id_1 = 0 …etc because from what I saw in tutorial video from Floob those lines were missing, but every time I would start a game they would be generated again. I’m running Retropie 3.3 and I’ve encountered the following issues with Dreamcast that I’ve not found any relation to on the web. My PS3 (R) Controller is not responding in Dreamcast. I’ve followed https://github.com/RetroPie/RetroPie-Setup/wiki/Dreamcast and Floob’s video with no success. My USBgamepad works flawlessly in most games but in Virtua striker the Dpad 2 is not responding at all. Any suggestions would do. Hello everyone, i’m kind of new to all this, in the past few weeks i’ve done many test to get everything straight to play all my retro games. I think i learn from my mistakes but i have an this reccurent problem. Is it ok to just take plug my card in my pc and manually transfer the roms to the right directory? All i see on the wiki or on google are usb, FTP and Samba transfer?! I’m sure you know that kind of stuff. Is this related to the way i tranfer roms? Or can i do something basic to avoid that? i can’t help with your USB stuff (I run my games directly from my USB stick rather than using the transfer service), but with you second question – what you mean by “video output setting” – the “retroarch render resolution” accessible within the https://github.com/RetroPie/RetroPie-Setup/wiki/runcommand ? if so, i run that at ‘video output’ (which is whatever your TV is running at – for me it’s 1080p) with no issue. the only way it should cause slowdown is if you’re running shaders, which I don’t. “ERROR:dbus.proxies:Introspect error on :1.1:/: dbus.exceptions.DBusException: org.freedesktop.DBus.Error.NoReply: Did not receive a reply. Possible causes include: the remote application did not send a reply, the message bus security policy blocked the reply, the reply timeout expired, or the network connection was broken. I get the same error if i try to connect via command line sudo bluez (anything). I have no idea why everything stopped being able to pair but it is driving me INSANE! I even reformatted and started over from a brand new fresh image and the controllers do the EXACT same thing when trying to pair. I have updated the firmware on both NES30/SNES30 controllers. I am confident if I get a 3rd one it will work great the first time I pair but i don’t want to keep throwing money away just to have it work for a week or 2. My PS3 controllers work working the longest but then I repaired them to my PS3 to play some games and they started doing the exact same thing the SNES30 controllers do. Im trying to set up wifi on my Pi for file transfer. I only have 1 ethernet cord and that connects my modem and router so I have to get this thing working to achieve file transfer. In Wifi Config it works fine, recognizes my networks, but will not connect to a network. Im sort of new at this so maybe someone has an idea what to do. I have read everything i can but all point out to ps3 and xbox remote. I have searched everywhere for hours last night trying to find a fix. So when i connect my controller turn it on and power the pi. Controller vibrates and I can see it is recognized as it shows during the boot messages (Xbox one pad connected as……..) but the light never goes solid it keeps blinking and goes off after a few seconds but is still recognized. I can run jstest and it gives me all the details of the axis but button presses do not change anything. I tried installing xboxdrv automatically and manually. It just wont recognize my controller. Controller is a wireless controller connected via usb if that helps. It is plugged into top left slot. Has anyone gotten an xbox one controller working? if so what magical powers do you posses? I’m new to the pi and to linux and could use a hand..
..then goes on to the ES splash as normal. It goes from any static Splashscreen directly to the ES Splash, but always shows the terminal and error briefly when I use a vid..
I’m on a pi2 running retropie 3.3 built from an image. Also, I’m dual-booting Retropie and Rasbian with Berryboot and both OS’s are on a USB stick. I am sorry for the delay, I wasn’t online these days. Yes, I installed RetroPie on top of Jessie which was installed through Noobs installer. I few days before I borrowed Raspberry Pi 1 Model B from my friend who still didn’t even unpack the box. I have installed Raspbian + RetroPie on top of it and surprisingly it works great (I thought everything would be sluggish). Of course, N64 is quite slow but Spectrum emulator, Sega Genesis, Neo Geo and golden age arcade games in MAME work great. 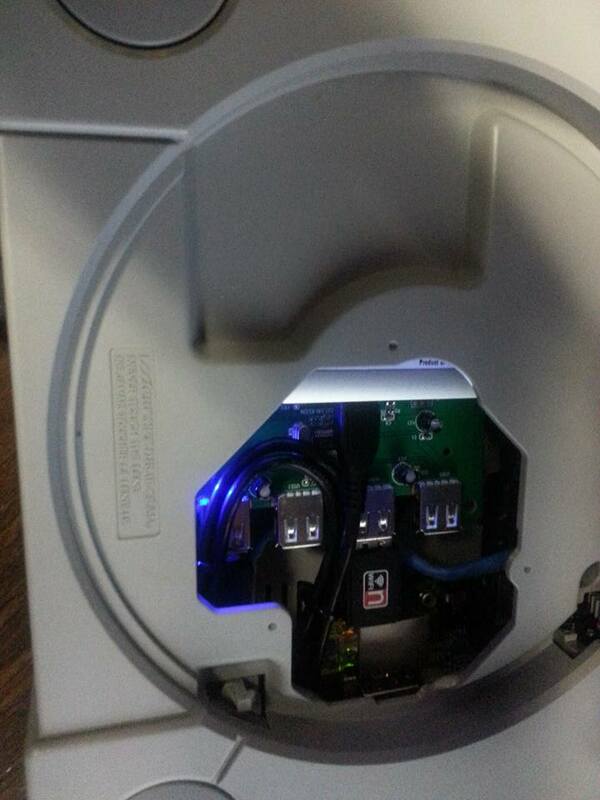 The only problem I had was I couldn’t make the USB digital arcade joystick to work properly. Emulationstation detected the joystick but jstest /dev/input/js0 readings were very odd so I couldn’t use it. Topic: How's your input lag? 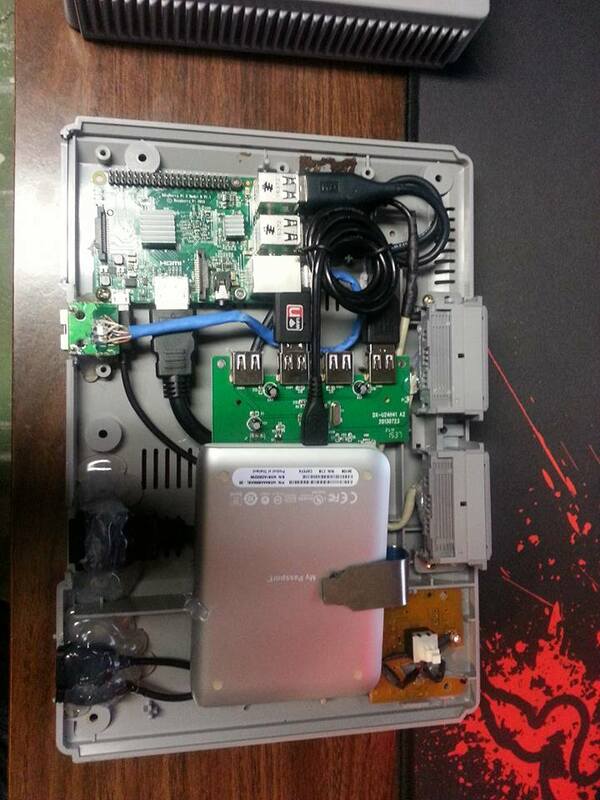 So I got RetroPie up and running, copied some ROMs over only to find that the input lag on my setup is horrendous. 1 frame = 16ms and from what I’ve read my TV has a 31ms lag, so this test seems about right. However, when running the NES emulator I’m noticing an increased lag. For testing purposes I botched together a circuit consisting of a DPST switch with one set of terminals connected to a powered LED and the other set connect to the A/Ground connections on a SNES pad (which in turn is connected to the Pi via a SmartJoy USB adaptor). This means that when the switch is closed, the LED illuminates at *exactly the same time the jump button is “pressed”. * or near as damnit! The jumping animation doesn’t trigger until 9 frames have passed, deducting the 2 frames caused by my TV means that something (RetroPie/ES/emulator, or the Pi itself) is creating a 7 frame delay. Also tried a wired keyboard and a BT DualShock 3 and while I wasn’t able to test accurately (my PCB is literally hacked together and thus only works with the SNES pad) the lag ‘felt’ the same. I also tried SMW on the SNES and got a slightly greater lag (jump triggered at frame 11). I know input lag has been covered before but I’ve yet to find a solution that works. So my question is; what’s your setup and how is your input lag? Any suggestions as to how I can reduce this? Hey, I have a Pi Zero and Retorpie is running fine and well… however, I have to transfer Via usb which works, kind of. The issue is, it will only transfer around 600 roms per console and randomly, for instance it doesn’t transfer A-C it will do parts of all letters. 1) I have the fullromset for FBA and it only transfers around 618. If I put the roms it wont transfer, into the Neo geo folder then they appear in Neo Geo but I want everything under FBA. Again, with the SNES it only transfers around 653 of 2100 roms. 3) Shall I touch the memory split setting at all? I have tried this but seem to be stuck somewhere..
#axis  vendor=0x11c0 product=0x5500 src=5 target=kbd button="up"
#axis vendor=0x11c0 product=0x5500 src=4 target=kbd button="right"
#axis vendor=0x11c0 product=0x5500 src=5 target=kbd button="down"
#axis vendor=0x11c0 product=0x5500 src=4 target=kbd button="left"
button vendor=0x11c0 product=0x5500 src=2 target=kbd button="enter"
button vendor=0x11c0 product=0x5500 src=1 target=kbd button="esc"
button vendor=0x11c0 product=0x5500 src=0 target=kbd button="c"
button vendor=0x11c0 product=0x5500 src=11 target=kbd button="space"
button vendor=0x11c0 product=0x5500 src=10 target=kbd button="x"
button vendor=0x11c0 product=0x5500 src=9 target=kbd button="leftctrl"
button vendor=0x11c0 product=0x5500 src=8 target=kbd button="end"
The reason the axis are commented out is because I was just testing to see if any buttons would work. I did get the “failed to grab device/failed to lock device messages.” with or without the axis in the .map file, but nothing would work. I did notice that once I was loaded into Kodi, the jstest would no longer register any of my joystick presses/movements. Could it be that I am losing my joystick when Kodi loads and that is why I am not registering anything within Kodi? If so is it plug and play or does it require any difficult configuring? Also does it recognise both controllers separately or again does it require any difficult configuring? also tried lsusb but it didn’t seem to map anything? It is a driver issue with the retrousb adapters, I have the same issue. A change was made to the kernel that messed up the drivers a while back. I have mostly solved it by rolling back the kernel to a previous version that worked with the adapters. enter the above through putty or terminal and it will take care of the problem for the most part. If I ssh into my pi and then return to playing games it will still scroll sometimes but a full power off corrects it. Only work around I have found. The problem does not happen with the iBuffalo controllers. Thanks, I’ll check it out. If I can’t get it working right I’ll just invest in a ControlBlock. I’m using RetroUSB adapters and using a regular SNES controller. I’ve got a Buffalo SNES controller. I will give it a try when I get home. 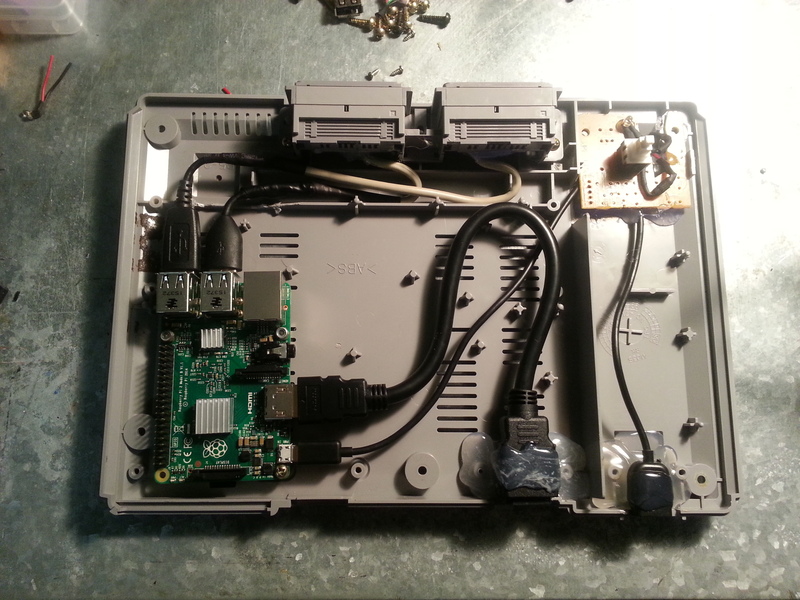 In reply to: Some RetroPie Issues – Please help! To be honest, I’m not sure because someone else set this up for me, but I’d have to imagine it’s whatever the latest version is. The system I have is made for the CV controller, but I did unplug the USB to CV controller adapter and put in a normal USB NES controller and I was able to play CV games just fine. The Start button seemed to be mapped to the “1” key on the keypad so I could at least start all the games that required a number push from the keypad to get them going. 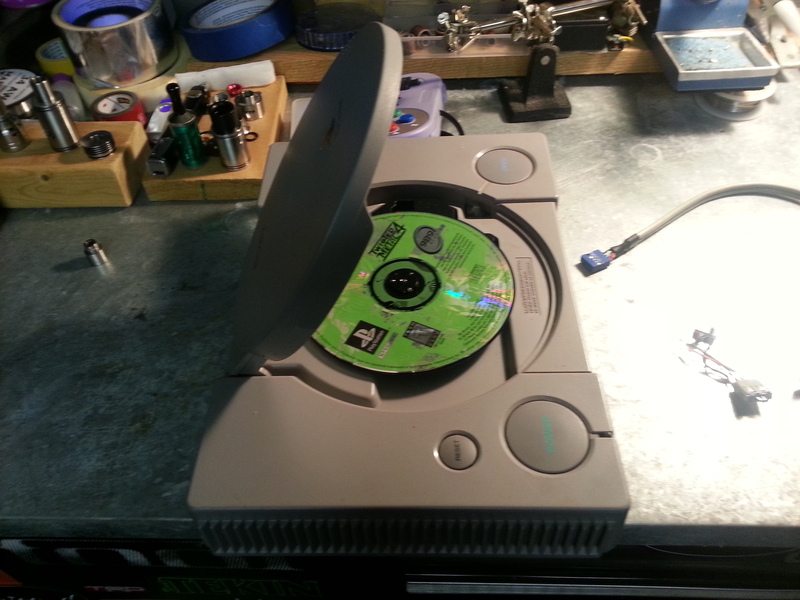 Blown PS1, on the chopping block. 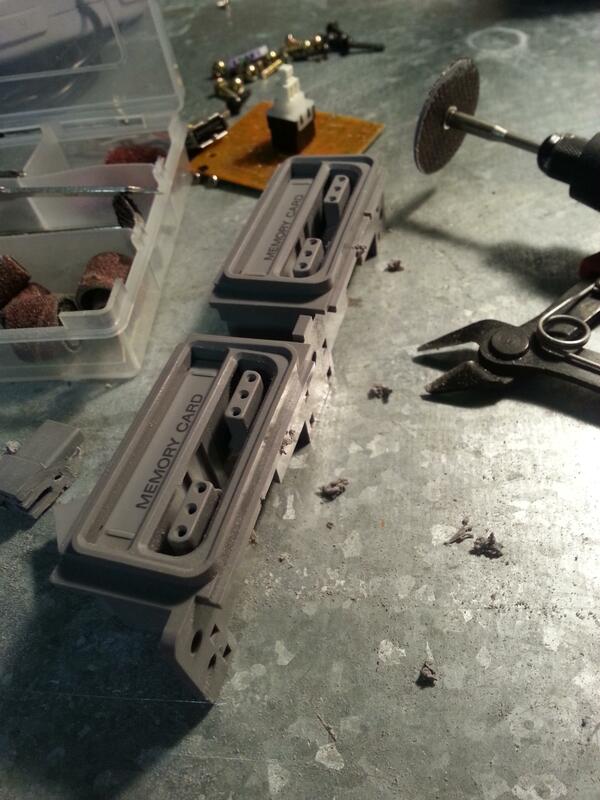 Diced up controller ports, so I could mount USB extensions and have options. I use a variety of controllers, plus keyboard and mouse. I used the original switch, and threw in a spare LED/15k resistor. 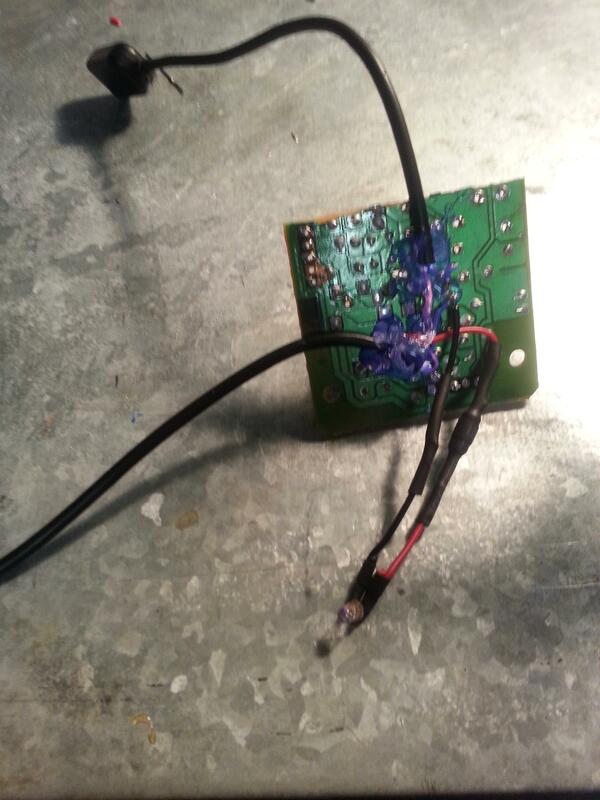 I wanted to keep a power-on light, original was junked. Laying the board and ports. Board is mounted on motherboard risers and original mount holes. Starting to string my extensions and cabling. I’m keeping room for the HDD and hub. The final (almost) revision. I have the hub center mounted, so I can reach the two extra ports through the tray if I need them. HDD moved to external power, ethernet ‘extension’ wired up, in the event I don’t have available WIFI. Ethernet extension has no status lights, but I can pop the lid and see layer 1 and status if I need to. I’ve been working with my existing XBox 360 controllers and the PC USB Adapter on my RetroPie. I’ve read some people say that the lag they have makes them unusable for faster games. I can’t necessarily say that they lag, but when playing games like Mario Bros, there are some times where certain button presses might be lagging enough to be annoying and make things not go as they should. Assuming my ‘issues’ are due to lag and not the fact that I’m a ‘bit’ older than I was when I last played on the actual NES system, how do the XBox One controllers compare with RetroPie relative to the 360 controllers? Is the lag I’ve read about (and may be experiencing to a degree) something in the controller itself, or is it in the driver implementation? Does anyone have any firsthand experience with both on the RetroPie? Worst case maybe I should order a Control Block and figure out the best way to wire up the actual NES, SNES and N64 controllers to the RetroPie. First I tried putting usbhid.quirks=0x16c0:0x05e1:0x040 in the /boot/cmdline.txt and then RetroPie recognize Xin-mo as two joypads but the controllers interfere with each other. 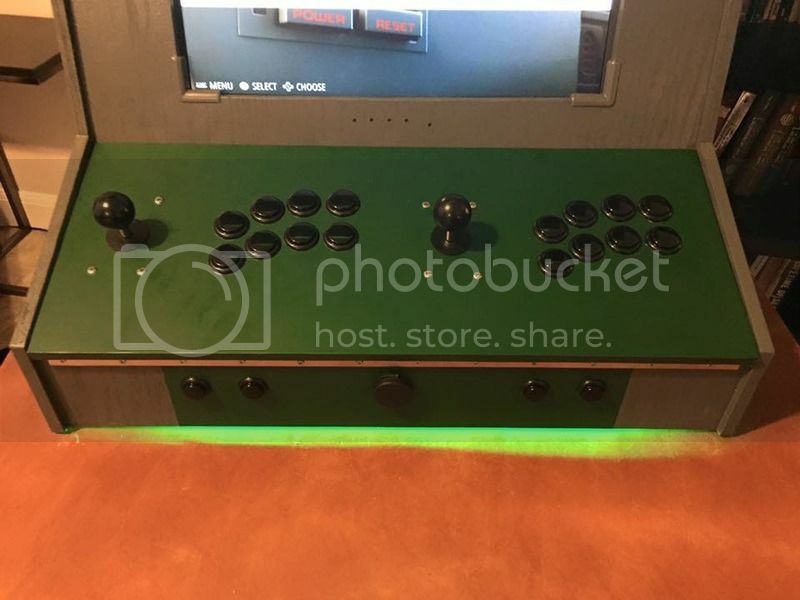 I have started to build my first Arcade machine based on retropie over the last few days. I was experiencing some issues with the Xin-mo controller but thanks to the efforts of people like “feederchain” in this thread I have everything up an running. My config was working fine using a keyboard and Logitech F310 gamepad but when I added the Xin-mo and my custom joystick I couldn’t see it – this was resolved by installing custom_kernel_1.20150818-1.tar.gz referenced earlier in this thread. I was then able to see two distinct controllers in jstest, configure 2 gamepads in emulationstation, and setup buttons for SFII in Mame. that is all my technical issues resolved, arcade cabinet is mostly assembled so I am doing some undercoating tomorrow. Again many thanks to the forum members and particularly contributors to this thread, without your efforts I would still be wondering why I couldn’t see my joystick. In reply to: What controllers are you using? I am new to this and am vision impaired. I bought a unit from ebay with 2 wireless ps3 style controllers. Most things work ok I would like to get my rettrolink N64 wired controller going for N64 games can anyone assist? In reply to: How to boot after the system is put into shutdown? To power cycle from the front of your cabinet or control box as I think maybe you are looking to do you could install a micro switch in a convenient place and connect it to the GPIO pins as people have done to make Ras Pi reset switches for Pi Camera’s. If you wanted something more than that then The Pi Supply Switch from the Pi store shuts down all the USB supply. Is it possible to disable scanning usb Controller startup retropie? I was messing around with mame playing some of the old 80’s & 90’s arcade games I remember from my childhood. Loaded up T2 the arcade game but since its a lightgun game couldn’t do much. anyone know if the various USB lightguns I see around will work or if theres any way to play them with a mouse or controller?